Our Miami dental practice is fully committed to helping children develop strong oral hygiene habits at an early age. Studies show that good brushing habits, for example, significantly reduce the chances of developing serious illnesses like heart disease. Good habits start at an early age, however. Young children with good hygiene habits grow in to young adults with strong and healthy smiles. But is this happening? According to recent research, it is not. In fact, recent research indicates that over 80% of the Los Angeles area’s children are in need of immediate dental care (i). The results are in, and they are alarming. Over 2,000 children of migrant or minority families in the Los Angeles area were surveyed recently by dental professionals from the University of Southern California (USC). Of the children surveyed, over 70% had dental caries while an overwhelming 81% were in need of general dental care (ii). 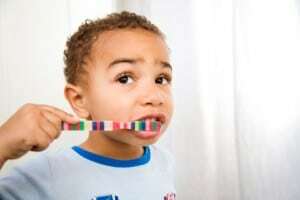 This signals an overwhelming rise in substandard oral hygiene among individuals at a very early age. This lack in proper hygiene is emphasized by USC Associate Dean Dr. Roseann Mulligan. Dr. Mulligan explains that over half of the children examined already had already received fillings, crowns, or some kind of dental procedure. Despite already having received care, about 72% were found to need additional dental work. About 9% of children had an oral health condition that required attentive treatment within 24 hours. “It is not enough to repair the destruction caused by the disease process of tooth decay,” Dr. Milligan explains. “We must work harder at preventing it,” (iii). Assure a Smile echoes Dr. Milligan’s words of caution. We must work harder to spread awareness for the importance of proactive health care. This includes oral hygiene, dietary awareness, and any other activity that contributes to increasing overall mind and body wellness. Of course, this requires the formation of good habits. Good habits start during infancy when parents clean their child’s mouth and gum area with a soft bristled toothbrush and water. Continued enforcement of good habits is crucial in their becoming well-rooted ways of life. This includes daily brushing, flossing, and healthy snacking. Reward and punishment systems are critical in creating motivation to learn and maintain good habits. If you are as surprised with Dr. Mulligan’s findings, message the Dentist305 Twitter account and share your thoughts! Assure a Smile will field questions, concerns, and other thoughts on how to best approach the subject of oral hygiene. Together, we can help spread awareness for oral and holistic health!